I DONT LIKE YOU ON FACEBOOK I LOVE YOU! YOU SAVE ME MONEY! MUCH ALOHA! I could really use a Target giftcard! Thanks! I really like Target giftcards! I love this site, The coupons and the deals are AWESOME !!!!! This is such an adorable gift card! Love it! Thank you! I have been a fan for a long time. Thank you for second chance. Love your site and gals have been great trading coupons with. Thanks again for all u do. Thanks for the chance, I love your website! Thanks for the giveaway. This will make for a “splashing-good” shopping time for someone! Let it be me! Love the second chance I like your site!! This contest is a big wow! I LOVE Totally Target on FB!!! Thanks for having the giveaway!! Super cutie card I hope I win!!! This blog is awesome! you have the best giveaways! 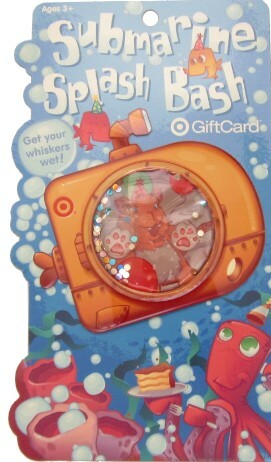 each week, ur giveaway is target card is very cute! thx for helping us out with the deals! !